Access a level of creativity you never thought possible, using techniques Tom Sturges - former head of creative at Universal Music Publishing Group - learned in his 25-plus years in the music industry. Everyone is innately creative. But many of us - especially those trying to develop careers in music and the arts - wish we knew how to better tap into our creative potential. Is there a way to more easily connect with the part of our minds that knows how to complete a song, finish a poem, or solve a problem? Music industry veteran Tom Sturges argues that there is. Sturges - who, in his 25-plus-year career, has worked with artists including Carole King, Paul Simon, Elton John, Neil Young, Foo Fighters, Red Hot Chili Peppers, Smashing Pumpkins and Outkast - has developed dependable techniques to help you recognize and harness your own creative power, whenever and wherever you need it. Get insight and knowledge of the creative process from Sir Paul McCartney and others. 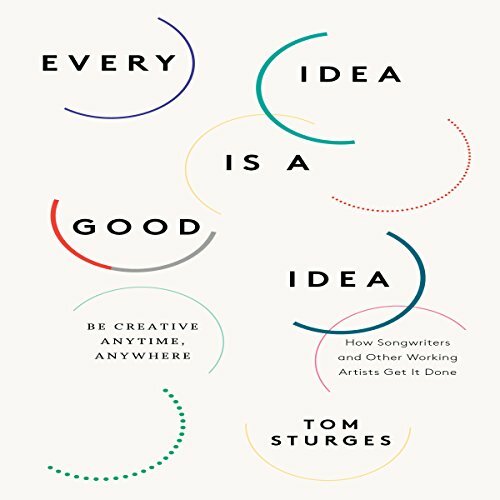 Every Idea Is a Good Idea invites listeners to find the pathway to their own creative endeavors.